A single experience can have an impact that lasts a lifetime. For Ryan Coffman, this statement may be the perfect representation for how he found his place in public health. Beginning his collegiate pursuits at York College of Pennsylvania, Ryan graduated with a bachelor’s degree in biology and entered his first position as a cancer researcher. After realizing that bench research was not a good fit for him, he joined the Peace Corps as a public health extension volunteer to gain a better understanding of public health and his career path. After his Peace Corps service, Ryan attended Tulane University School of Public Health and Tropical Medicine for his Master of Public Health degree. During his studies, Ryan attended a guest speaker presentation on tobacco cessation and policy – a topic that would soon become his passion. Recognizing the impact that this presentation had on his own career, Ryan continues to incorporate an assortment of speaking engagements into his busy schedule. He has worked as a health educator for the Maryland Department of Health and Mental Hygiene. He gained experience in program planning, implementation and evaluation, and assisting in contractual management processes. Finding that he preferred a community-oriented position, he held positions that involved the facilitation and direction of tobacco cessation classes in both inpatient and outpatient settings, providing relapse prevention support in group and one-on-one counseling sessions, and promoting the use of evidence-based cessation aids. 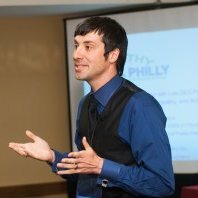 In his current position as the Tobacco Policy and Control Program Manager in the Philadelphia Department of Public Health, Ryan promotes local tobacco control policies, participates in the development of various community-focused programs and continues to advocate for smoke-free environments and other tobacco cessation initiatives. This work focuses on the tobacco retailer density near schools and eliminating prominent risk factors within at-risk neighborhoods. Hearing people say that the city’s campaigns and programs are working brings into focus just how far things have come from when smoking was still permitted in fast food restaurants and cigarettes were only a few dollars per pack. Perhaps the most challenging aspect of Ryan’s position is there still is work to do. In order to make the biggest impact, the framework from which current programs and initiatives are modeled comes from the CDC’s Best Practices for Comprehensive Tobacco Control Programs. The rewards Ryan has witnessed extend well beyond any challenges. His advice to those interested in working or progressing within the fields of public health and health education? 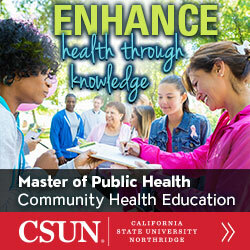 Find an issue that you’re passionate about and an area in public health that will be both fulfilling and challenging. Adding extra hours and taking significant cuts in pay may be sacrifices worth making, especially if it’s for a position or a topic that will make you happy. The need for public health professionals that are bold, daring and enthusiastic about the field and its efforts has never been greater.